The American Bar Association created ABA Blueprint to help their 400,000 members run a more efficient law firm. ABA Blueprint recommends the right solutions and educational resources to make it as painless as possible for law firms of all sizes to operate their businesses. 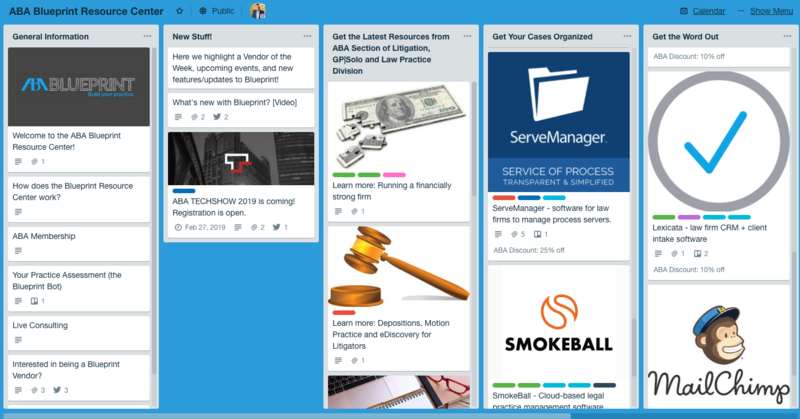 “Think of ABA Blueprint like a virtual consultant for your law firm,” said Chad Burton, CEO of CuroLegal, the organization that runs Blueprint along with the ABA. With this partnership, ServeManager joins the biggest names in legal technology and expands its reach to law firms and legal professionals looking for a better, more efficient process serving experience. This, in turn, drives those law firms that hire process servers to the tech-savvy legal support professionals that run their business with ServeManager. Law firms utilizing ServeManager benefit from a number of efficiencies including real-time updates from their vendors, the ability to work with many process servers from one interface, the capacity to upload service documents and assign them to a specific process server, access to a directory of ServeManager users and GPS, timestamp, and photos of service attempts. In addition, ServeManager has an open API allowing for easy data transfer between a law firm’s case management system.